President and Chief Executive Officer of Drummond Company, Inc.
Mike Tracy was appointed Chief Executive Officer of Drummond Company, Inc. in July 2016 and also was re-elected to the Board of Directors. He is responsible for all of Drummond Company, Inc. and its affiliates. Mr. Tracy began his mining career after graduation in December of 1973, with Southern Company in the Fuels Department in Birmingham as a mining engineer. Mr. Tracy has worked his way up in Drummond Company, Inc. in both engineering and operations management. In his career path with Drummond, Mr. Tracy has achieved both the positions of Chief Engineer and Director of Operations Development respectively. In 1986, Mr. Tracy became part of the development team that started the feasibility of the company’s Colombian coal mining project. Mike became President of that division in 1990 where he lead the team in development of the thirty million per year coal mining complex in Colombia, one of the largest mining complexes in the world. In 1998, Mike was promoted to Corporate Vice President and Executive Assistant to the CEO where he worked with all divisions of the company. In 2004, he was promoted to President of the Mining Division, where he remained until departing Drummond in late 2007. Mike spent two years as CEO of White Oak Resources LLC, a start up energy company in Southern Illinois. In January 2010, Mr. Tracy returned to Drummond assuming his position as President of Mining with expanded duties including senior management of human resources, supply chain management, and oversight of several other company subsidiaries. He holds a master’s degree in Business Administration and a Bachelor of Science in Mineral Engineering from the University of Alabama. 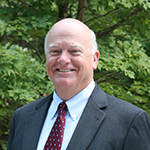 Some of Mr. Tracy’s achievements include: 1977- Outstanding Young Man of America; 1995- Distinguished Fellow Award, Department of Mineral Engineering, University of Alabama; and 2000- Honored Professional, Who’s Who in Executives and Business. Mr. Tracy has been appointed to the National Mining Board. President of Drummond Coal Sales, Inc.
Mr. Wilbanks began working with Drummond Company Inc., as an accountant in 1977. In 1979, Mr. Wilbanks became an assistant to Burt Pribbenow, the head of sales at the time. Over the years he has held many different positions within the company including President of Export Sales. Mr. Wilbanks heralds his success to working with the “best people” and receiving encouragement from Mr. Garry Neil Drummond both early and throughout his career. Mr. Wilbanks states simply that the key to solving problems in his business is to see the customer’s issue before it progresses into a problem and to “solve it as fast as you can.” Mr. Wilbanks has a Bachelor of Science in Accounting from the University of Alabama. He is presently on the Board of Directors for Glenwood Inc. and the Birmingham Ballet and is a Member of the Birmingham Rotary Club. Mr. Wilbanks has been on many previous boards including The Nature Conservancy, UAB Comprehensive Cancer Board, McWane Center Board and the University of Alabama International Advisory Board. He lives in Birmingham, Alabama, and has three children. President of ABC Coke Division of Drummond Company, Inc. In 1982 Mr. Owens began his career with Drummond Company Inc. and quickly moved into met coal and coking coal sales. Over the years he has held many different positions within the company including working in the early 1980s in our London office selling house coal. In 1990 he began sourcing coking coal for the ABC Coke Plant and in 2000 he worked directly with John Pearson, our former President of ABC Coke. Mr. Owens credits God’s plan and a hard work ethic for his professional success. He said that his first impression of working for the Drummond brothers was to “start early, work late and know that they will be the ones to turn the lights out.” Mr. Owens has a Bachelor of Science in Commerce and Business Administration for the University of Alabama and a J.D. from the Birmingham School of Law. He serves as the immediate past chairman of the American Coke and Coal Chemicals Institute. He lives in Birmingham, Alabama, with his wife Helen and spends his free time with his grown children and his grandbabies. 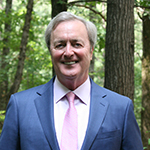 President and Chief Operating Officer of Drummond Company, Inc.
Mr. Mullen began his career with Drummond Company Inc. in 1982. His engineering degree was quickly put to use by Drummond out of school and by the early 1990s he went from being second in charge of Flat Top Mine to being responsible for all of Drummond’s surface mines. 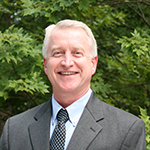 In 2009, Mr. Mullen was promoted to Executive Vice President of Mining. He was promoted to President and Chief Operating Officer in November 2016. Mr. Mullen addresses challenges within the company by asking simply, “How does this affect our people and will this save us money or make us money?” Mr. Mullen has a Bachelor of Science in Mining Engineering from the University of Alabama and a Master of Science in Environmental Management from Samford University. 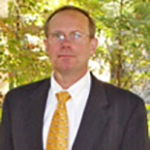 He is a professional engineer and past Alabama Chair of the Society of Mining, Metallurgy and Exploration. He has served on the University of Alabama’s College of Engineering and Leadership Board and received the honor of Distinguished Engineering Fellow in 2013. Mr. Mullen also serves on the Fenoco board. He is proud of his two sons who are in medical school and enjoys spending time with them quail hunting or with his wife Cheryl boating on Smith Lake. 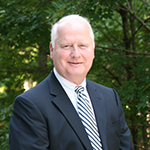 Executive Vice President, Chief Legal Officer and Secretary of Drummond Company, Inc.
Mr. Webster began his career with the company in 1989 after employment by a Big-Eight CPA firm. Mr. Webster earned a B.S.B.A. from Bowling Green State University and a M.A. in Accounting, M.T.A. and J.D. from the University of Alabama where he was admitted to Beta Alpha Psi and Beta Gamma Sigma. He is also a member of the American and Alabama Bar associations and American, Alabama and Ohio societies of CPAs. He serves on the American Bar Association Tax Section where he chaired the Task Force on Use of S Corporations in International Transactions. 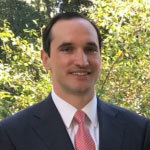 Chief Commercial Officer of Drummond Company, Inc. and President of subsidiary Drummond Coal Sales, Inc.
Mr. Drummond began his career at Drummond Company Inc. in 2013 as Vice President of Drummond Coal Sales. In 2017, Mr. Drummond was promoted to Senior Vice President where he works closely with the CEO. Mr. Drummond participates in numerous areas of the company, including mine operations, coke production and marketing, finance and administration, procurement, and government relations. After obtaining a Civil Engineering degree from SMU, Mr. Drummond began his career with Vitol at the coal trading desk in London. He also helped start Vitol’s coal trading desk in Houston and was in charge of coal operations in North America before joining Drummond Company Inc. Mr. Drummond is the grandson of the former CEO and Chairman of Drummond Company Inc., Garry Drummond. Mr. Drummond resides in Birmingham, Alabama with his wife and their two sons.